Our 20,000sf plant is fully outfitted with some of the finest and most up-to-date equipment available. 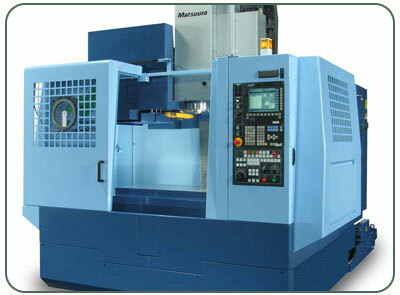 We use highly sophisticated Computer Numerical Control (CNC) milling and turning machines, grinders, bar feeders, lathes, Electric Discharge Machines (EDMs), and Coordinate Measuring Machines (CMMs). To optimize the power available to us, we carefully design our factory-floor layout for partially attended and cellular manufacturing practices to achieve the leanest possible operation for the fastest possible turn times at optimal cost. One of our specialties is producing highly complex parts in a one-setup make-complete process with simultaneous milling and turning. This PDF document requires Adobe Acrobat or the FREE Adobe Reader.